The Crystal of the Day for Tuesday 17 September 2013 is Analcime. Analcime is a stone that grows in many colors that is used for a number of things in energywork and crystal magic. It is said to heighten mental clarity in a creative and individual way. This brings more individuality and creativity into life, especially where others try to constrain the two. Analcime has stabilsing energy that can help stabilise on all levels. It is particularly useful in energywork for teamwork, harmonious relations with others, coping with change, and comfortable transformations. 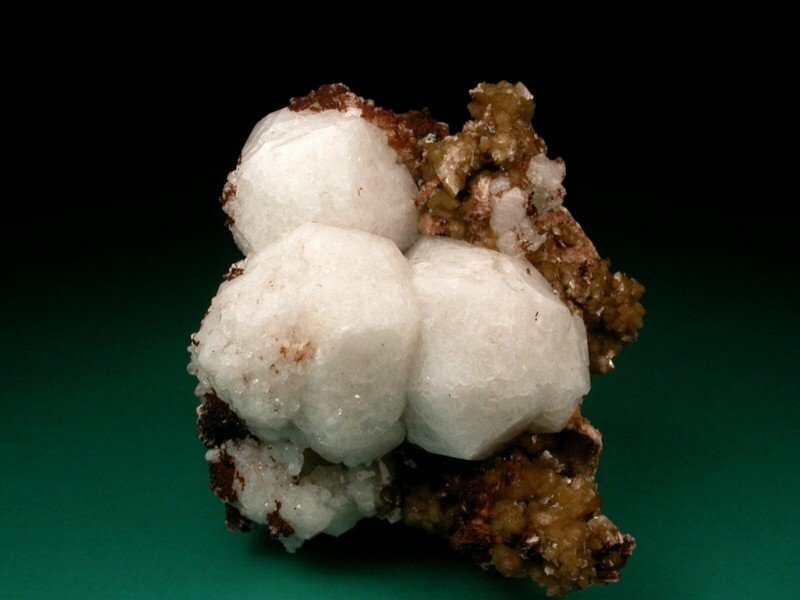 Analcime is a Zeolite, so it also has the energies of Zeolites. Analcime increases mental clarity. It specifically works to stimulate and clear the Heart Chakra. Analcime inspires creativity. It can help to maintain a healthy mental (emotional) and physical state when facing change and/or transformation. If you work in a group dynamic, be it work or other activity, Analcime will help to bring harmony and enhances all aspects of teamwork. Analcime dispels weakness in all bodies and produces an energy conducive to stabilisation. Physically, Analcime is used in crystal healing and folk healing for diabetes, pancreas problems, water retention, strengthen muscles and muscle structure, organic problems that reduce mental clarity such as brain tumours. It can also help to strengthen the muscle structure, particularly those that are atrophied. The Crystal of the Day for Thursday 29 August 2013 is Cat’s Eye. The Cat’s Eye gemstone is found in honey, yellow-green, and black, however there are many other shades to the stone. Black Cat’s Eye is also worn to nullify the effects of Ketu, as it belongs to the planet Ketu. The stone enhances support, stability, courage, will power, and wisdom. It brings enlightenment toward the path to liberation. 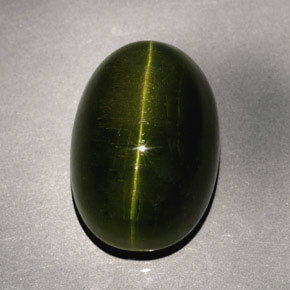 Cat’s Eye is also know for its power to attract sudden wealth. Cat’s Eye guards its wearer against accidents, evil. It also saves one from physical weaknesses, evil spirits and mental imbalances. It helps people to be in harmony with others and accept their own self. It will stablise emotions, enhance ones senses and improves the ability to deal with challenging situations. With all this said, it is not recommended to wear a Cat’s Eye pendant as it offers no benefit to the wearer. A Cat’s Eye bracelet or ring brings best results. It even comes with its days for wearing: Wednesday, Thursday, and Friday and the best time to wear it is 2 hours after sunset. A few more facts before we all run out to buy one: If the Cat’s Eye is not brilliant and shiney but dull, it is injurious for physical health and personal wealth of owner. If there is a crack within the gemstone, it brings injuries from sharp-edged weapons. If there is a “cobweb” inside the gemstone, it will bring imprisonment and harmful to wearer. Having 5 streaks or bands of light it brings misfortune. If it has holes or dents, it will bring diseases of the stomach. Uneven in shape, unlucky. Apart from all that, if you get a near-perfect on that shines like Cat Eyes in a dark place, then it is a lucky gem indeed!